Ever ask yourself if you can join the Army? Read over all your options for joining the U.S. Army and decide of enlisting is the right career path for you. The Army offers a unique job opportunity that provides not only training for work and life but benefits for you and your spouse that include signing bonuses, going to school for free, medical/dental and much more. Are you interested in becoming a respected soldier in the United States Army but not sure where to start? Follow the steps below! The ASVAB is one of the most important steps when joining the Army. It is one of the main factors in determining your career path while in the Army. Do you want to work in communications or in Army Law (JAG Corps)? You’ll have to ace the ASVAB first! Basic Training will be a key part of your life in the military. It is designed to condition and prepare you for the Army while washing out the unqualified men and women. Learn just how tough you have to be to join the most elite fighting force in the world. Are you in excellent physical and mental condition? It is a must if you want to be a soldier in the U.S. Army! Learn more about the age, citizenship, education and family status requirements you must meet to join. Knowing can make the difference. Ready to receive countless benefits? You will receive competitive pay, education assistance, insurance, retirement, job training, leadership opportunities and more. All these are great but, most Soldiers agree that the greatest benefit is the opportunity to serve their country. The Army Special Operations units perform the military tasks that are outside the normal capabilities of conventional forces. Conventional forces consist of masses of tanks, masses of men, heavy equipment and artillery. Special operations and the special operations forces go after those things that large organizations are incapable of handling because of their inflexibility and inability to innovate. 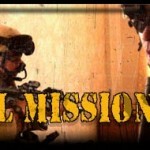 Special operations also are concerned with local nationals in various countries. Army Special Forces teams are dedicated to certain and specific regions of the world.